There can be a lot of questions that arise when you have a child in your family that could use extra guidance. However, you are not always expected to know the best way to get them the treatment that they need. Taking the time to educate yourself on the best troubled youth program(s) in North America will help you to make some of these difficult decisions for your family. The more that you know, the easier it will be to ensure you are finding the right level of help and support. You will see that there are countless options today when it comes to therapeutic long-term and short-term programs out there for young people that have been dealing with behavioral and emotional issues. It is important that you are careful with your selection, as you need to have the right level of care for your child as well as the information and support that you need as a parent. When you contact Rites Of Passage Wilderness Therapy, you will find that we have a long list of great programs that can be tailored to meet the needs of the troubled youth in your life. We feature high-impact short-term and long-term interventions that help through experiential learning as well as counseling on both an individual and group basis. These are programs made for troubled kids who are dealing with a range of issues on an emotional and behavioral level. 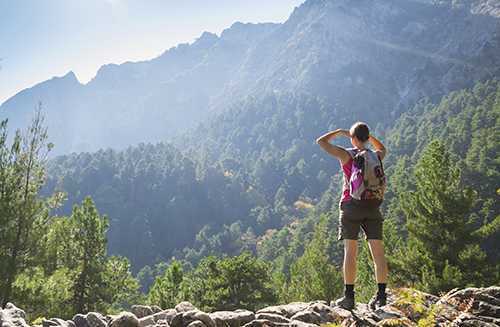 All of the wilderness therapy programs we offer will expose the participants to the natural environment around them to help foster health and healing. The programs involve countless activities like team building, hiking, camping, and a wealth of beneficial adventure and bonding activities. While in this unique setting that is free from all of the distractions of the modern world, the participants are able to discover who they are and work on the problems that they are faced with on a day to day basis. Working through a wilderness program can be a very wonderful experience for any adolescent that has lost their path. The youth enrolled in such a program will have access to the tools that they need to succeed with their peers, at school, in their activities, and to build strong relationships with their family. Whether you have a child that has been acting out, showing addictive behaviors, or that just seems to need guidance and understanding, you will see that Rites Of Passage Wilderness Therapy has the options for treatment that you are looking for. Rites Of Passage can help you when you are looking for the best troubled youth program(s) in North America. 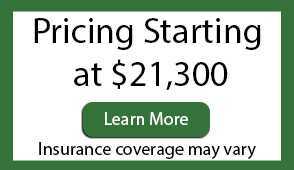 Call us today at (800)794-0980 for more information or to set up a time for a tour. 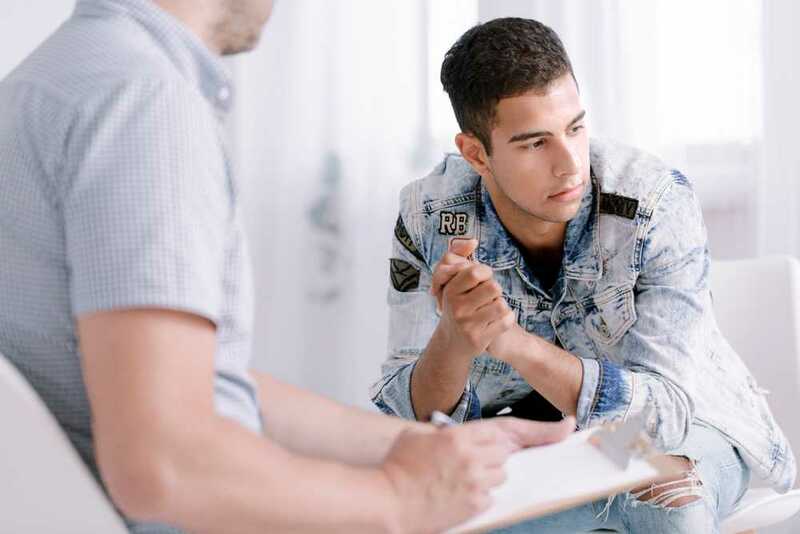 We look forward to helping you and your family to find the results that you are looking for in a behavioral program for teens and troubled youth. One of our trained counselors will be happy to go over everything with you and make sure that you have a good understanding of the program and what may be best for you. When you have a troubled teen in your family, wilderness therapy in the Northwest can be a great option. However, you need to be sure that you are finding the right program, which should include programs that are put in place and managed by staff members with experience. Once you know what a wilderness therapy program is, you can then look for some important aspects that will help you to make a decision. There can be times when a teenager will need somewhere to go away from peers who are a bad influence and home so that they can enjoy bonding experiences and counseling. A quality wilderness therapy program is one designed to house troubled teens in a wilderness setting and free from any distractions like home, school, friends, and electronics. There will be work done with mentors to address behavior issues as well as tasks that give them tools they need to manage their emotions moving forward. These are generally programs that will be in an outdoor setting to take on recreational activities while under the supervision of trained professionals. Nature serves as an excellent backdrop that fosters healing and restorative properties for teens that are frustrated, stressed, anxious, or going through withdrawal from drugs and/or alcohol. Teens will have a chance to learn all about themselves and how they can build from inner strength. There are several things that you should be looking for in a quality wilderness therapy program. To start with, you need to look for one that has been in business for a while and free of any investigations, operating issues, and suspensions. Furthermore, you need to be sure that all of the staff are fully licensed and certified within their positions and come with a wealth of experience and knowledge in terms of working with troubled teens. As you do your research, see if the wilderness therapy in Northwest comes with plenty of testimonials online from past clients as well as their families. This insight can be very valuable in helping you to make the best possible decision for your loved one. Quality wilderness therapy programs will have the needs of the patient in mind. When you decide to go with Rites Of Passage Wilderness Therapy for treating your teen, you will have a team of professionals on your side to work with your child and your family as a whole. These are programs tailored to your teen's needs and consist of a mixture of bonding experiences in nature, group therapy sessions, one-on-one counseling, and sessions for the entire family. There are many wonderful options available to you and your family when it comes to wilderness therapy in the Northwest. Contact us today at Rites Of Passage by calling (800)794-0980 and we can go over all that we have to offer. We look forward to working with you and your family to bring about a customized plan for treating your teen and whatever is holding them back from living life to the fullest potential. Being a parent in today's world means that you are faced with a plethora of challenges on a day to day basis. With how far technology has advanced, there are some situations where people on social media will find out about a problem that your child is having even before you do. Whether you have a child that is struggling with their weight, they are having self-esteem issues, acting out in school, or developing a dependency on drugs and/or alcohol, Rites Of Passage NW in Washington State has the answers that you are hoping to find. There is nothing worse than feeling helpful whenever it comes to making sure that you can be a voice for your child. Sometimes, despite your best efforts, you may find that you need to look for outside intervention to help you get across to your child or to give them an additional outlet for working through whatever turmoil they are faced with. Rites Of Passage NW is a unique way to get your child the help that he or she needs while also bringing you the tools required on your end to set them up for success. Many children today are dealing with being overweight. Not only are there health concerns that come with this, but you also have the major impact at school and through the online community in the form of bullying. Rites Of Passage NW has a variety of obesity, healthy, and wellness camps available made to give your child a voice, the tools that he or she needs, and all of the guidance and support necessary for weight loss and successfully keeping the weight off. There can be any number of addictions that will plague children today. Whether it is drugs, alcohol, or any other type of addiction, we have the staff and the treatment options to give your child and your family the support and therapies geared toward optimum results. All you have to do is give us a call and one of our friendly staff members will go over all of the details with you to ensure you have the right plan in front of you to save your child from the addiction holding him or her back. Whether your child is acting out and needs to work on behavioral skills and communication, or there are deeper issues at hand, we have the trained staff on hand to assist. Not only do we offer team building activities for bonding and accountability, but we also feature one on one counseling, group therapy, and family-oriented therapies to provide each member of the family with coping tools. We look forward to hearing your story and working on the next chapter with you and your family. Rites Of Passage NW in Washington State has the answers that you have been looking for when it comes to customized care and variety in the form of rehabilitation, counseling, and more. Call us today at (800)794-0980 to learn all about the programs that we have to offer and what we can do for your family.